Can I show/hide Portal content to particular users? Many Brandkit accounts want to show/hide some content to some users and different content to others. This is possible in Brandkit using a combination of User Roles, Asset Licences and Portal Widgets that respect system wide permissions. These will generally have to be configured for you by the Brandkit support team. Here's an example of Custom Page Content. 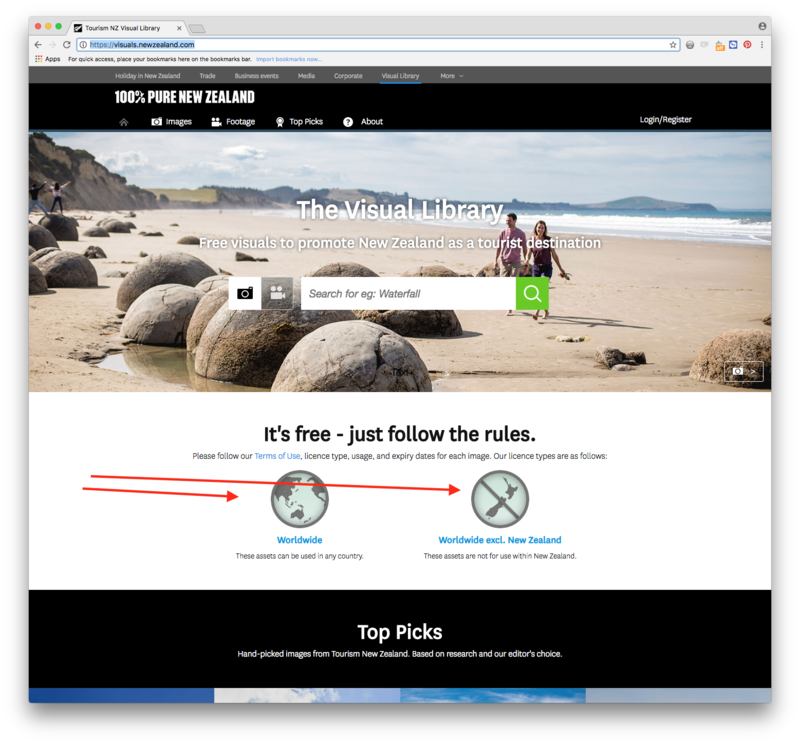 The Tourism NZ Visual Library shows logged out users two Licence options as seen below. This uses a simple Permission test to check if the User can see the content and shows the variable content. Assets can also be shown or hidden from search results or Content Stories based on User Role. Combined with Custom Page content this can be very powerful. Here's an example for NZ Story. 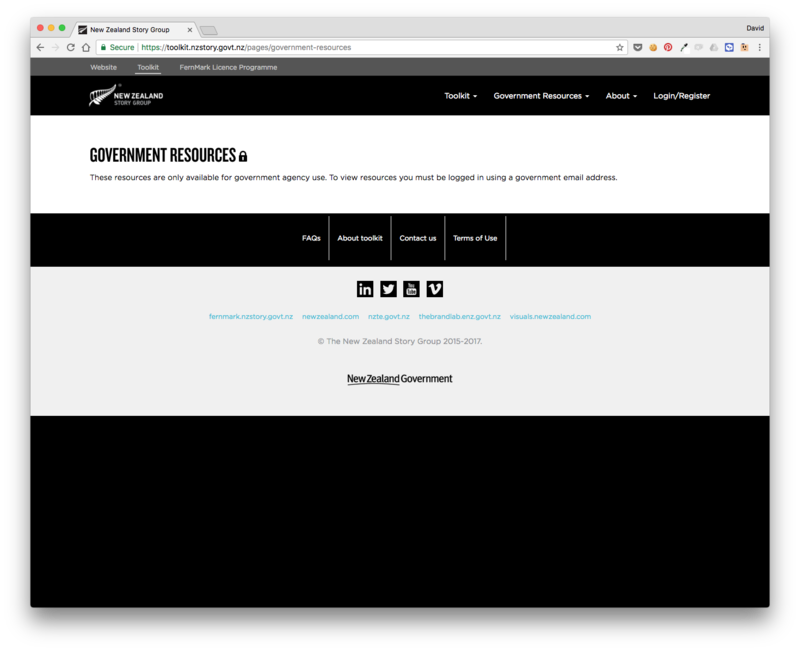 This search result (or Content Story) is unavailable to Users without the appropriate NZ Government User Role, and so display the custom Locked Screen messaging. 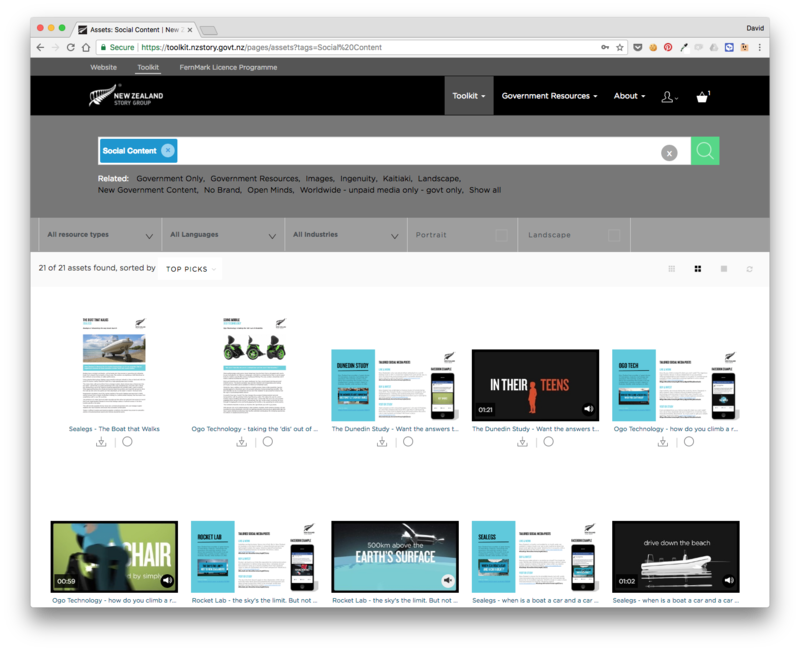 Then after Logging in with the appropriate NZ Government User Role, the Assets become visible and available. 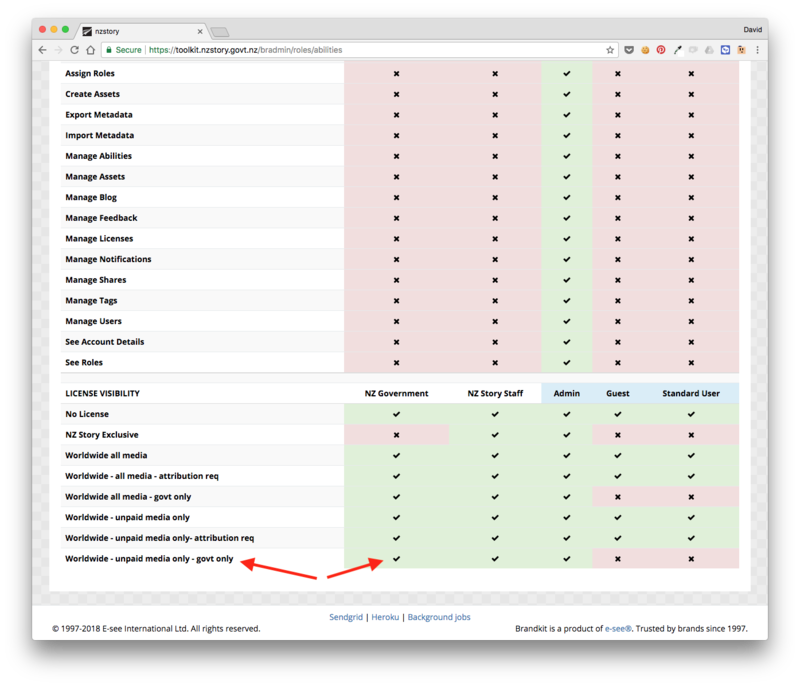 The important thing to understand, is the it's the same navigation/link or URL - but the Brandkit access controls combined with the Role and Asset Licensing settings determine who can see what. 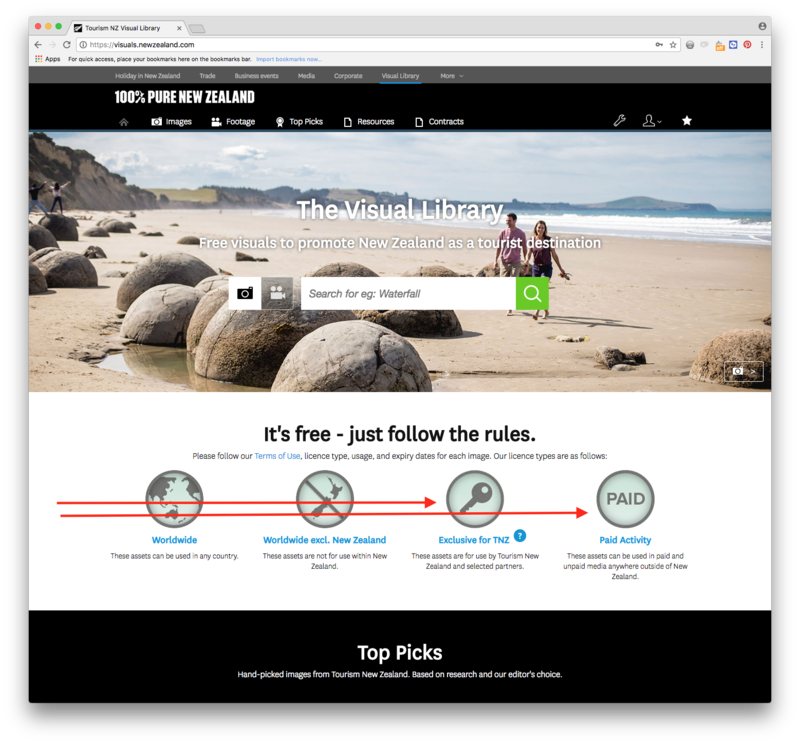 As we can see in this screen above showing the Visibility settings for the NZ Government Role.